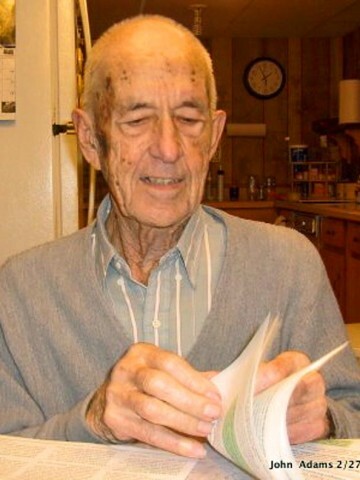 John Emery Adams, Jr.-age 101 of Hendersonville passed away December 5, 2013. He is preceded in death by his loving wife of 71 years, Katherine E. Adams. He is survived by his sons, George (Betsy) Adams and Kenneth (Bonnie) Adams; daughter, Janet Gammon; 13 grandchildren and numerous great-grandchildren. In lieu of flowers donations may be made to Hospice Compassus 1805 N Jackson St. Suites 5&6 Tullahoma, TN 37388.